Movado Connect Android Wear smartwatch goes on sale U.S. 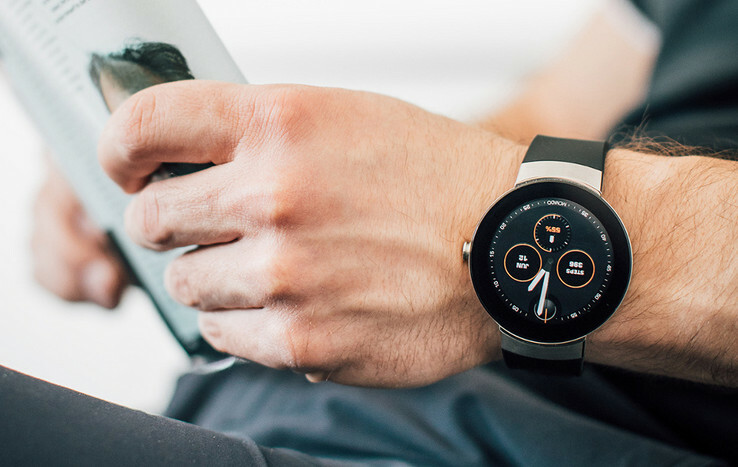 The Movado Connect is a premium smartwatch running Android Wear 2.0. 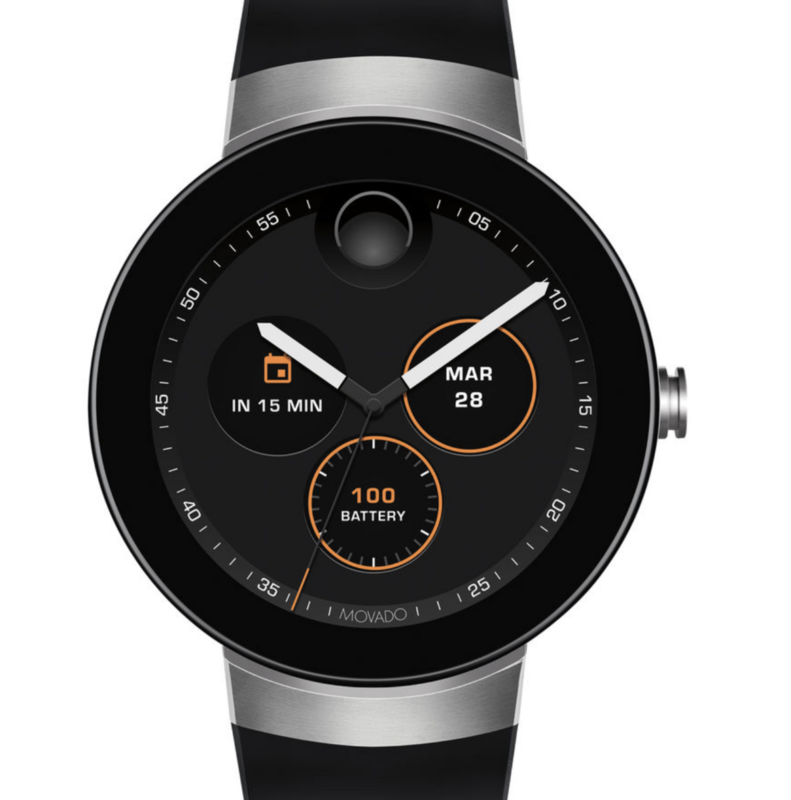 The Movado Connect smartwatch powered by Android Wear 2.0 is now available for purchase, some five months after it was officially revealed. While it was always going to be one of the more premium smartwatches on the market thanks to the company’s Swiss watchmaking heritage, it is priced US$100 more than originally promised, starting from US$595. In all, there a five models with the next tier priced at US$650, followed by a model priced at US$895, with the most expensive model coming in at an eye-watering US$995. Like the Apple Watch series, the internals are the same on each of the models, but are differentiated in price by the watch bands and slightly different finishes. The high-end model comes finished in dark gray ion-plated stainless steel with matching dark gray ion-plated stainless steel link bracelet. The one special design aspect shared by all of the Movado Connect models is an edge-to-edge crystal covering the 1.39-inch 400 x 400 pixel AMOLED digital dial. Each device also comes with over 100 customizable dial variations, but is only available in the single 46.5 mm size. 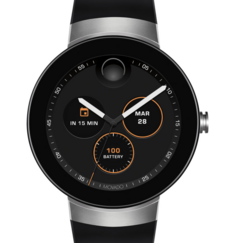 While the Movado branding and design may help to warrant its high pricing, its specifications will be very much in line with more modestly priced Android Wear 2.0 devices hitting the market this year. It is powered by the latest Qualcomm Snapdragon 2100 for smartwatches, matched with 512 MB of RAM and 4 GB of internal storage. A 300 mAh battery should keep things going for the day, while its NFC connectivity will support tap-and-go payments. Interestingly, the device forgoes a heart rate sensor, which will rule it out for active types, but should help to maximize battery life. The Movado Connect is only available to customers in the U.S. starting from US$595, with no news of its availability in other markets currently at hand. > Notebook / Laptop Reviews and News > News > News Archive > Newsarchive 2017 08 > Movado Connect Android Wear smartwatch goes on sale U.S.